Threads, the innovative cloud-based enterprise application that records and tracks an entire organisation’s messages, contacts, emails and phone calls in one easy-to-use intuitive interface, has been included in the prestigious Financial Times 100 Digital Champions, as part of Google’s ‘Europe’s Road to Growth’ special report. Europe is a hot-bed of highly disruptive technology companies, and with support from Google, a chosen panel of esteemed judges from every corner of the industry compiled the list of 100 European businesses, individuals and organisations that are making waves by using technology to change their industries and tackle social challenges. When choosing the finalists, the FT and Google project looked for leading examples of companies changing how they operate to grow faster and identify new customers. Threads strives to reinvent the way traditional ‘digital messaging’ is retrieved, allowing users to instantly find a message they need whether it be an email or voice call in the context of the conversation (or thread) involved. As a self-organising, cloud-based CRM system for small companies to enterprises alike, Threads made the iconic ‘Road to Growth’ top 100 list from over 4000+ entries. 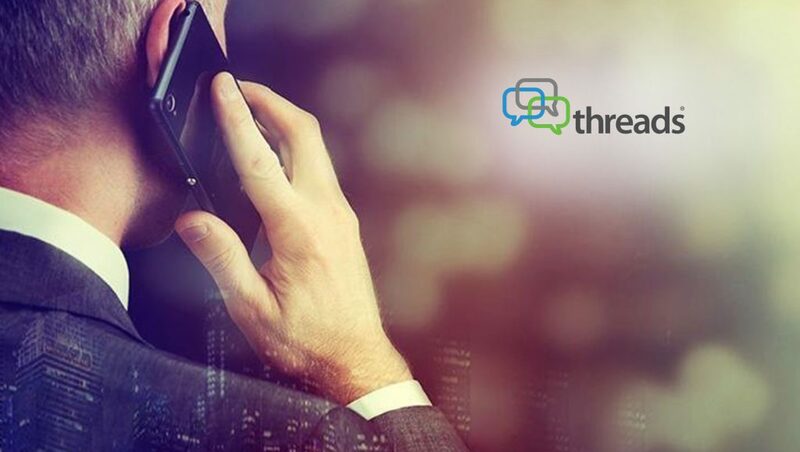 Threads is designed to provide a low-cost, practical business solution, whilst tackling a number of sensitive issues around real-time access to any form of digital message (e.g. email and phone calls) – even when these are locked in private email boxes or impenetrable phone systems. With a growing number of employees working from home, and a raft of new compliance regulations, including GDPR, call and email transcription is phenomenally useful to every type of business, saving both time and money. Threads deploys Automatic Speech Recognition (ASR) and Optical Character Recognition (OCR) to extract meta-data from all communications within a business, and transparently converts and stores them. Unlike many other user-based Cloud services, Threads is priced according to storage used, making it a big incentive to organisations with more user accounts than employees. Currently, Threads also integrates with HubSpot, Google Speech and Speechmatics. Work is in progress to add others, with the aim of always supporting the latest available technology. Following the accolade, Yardley recently attended the Google Europe and FT launch event in Brussels on 21 November 2018, where representatives from the winning companies met to celebrate their shortlisting and to discuss how they plan to continue to be digital leaders of change.